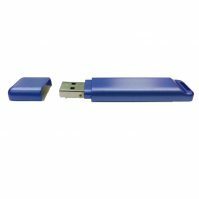 Active 2.45 GHz RFID Readers can read battery powered RFID tags from a long range (20m-100m) and have high speed reading capabilities. 2.45 GHz readers can be woken when in range with a reader to broadcast their unique IDs (conventional) or function as beacons to continuously broadcast a signal (used in real time location systems). When paired with our RFID Readers, they enable you to track your valuable assets from long range, providing clear visibility on location and condition data such as temperature or possible tampering. The 2.4 GHz Active RFID readers make use of advanced IC technology which gives an extra advantage of low power consumption. All the readers in this category operate in the range of 2.4 GHz to 2.5 GHz. As well, the GFSK (Gaussian frequency shift keying) modulation is being used in all of the 2.4 GHz active RFID readers offered at GAO RFID. Most of the readers make use of the standard USB 2.0 interface to connect to any USB enabled computer device. 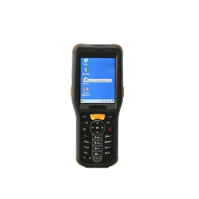 Handheld RFID readers of this kind utilize the Windows CE 6.0 embedded operating system and have the capabilities of both barcode reading and RFID data collection and storage. These readers feature multi-serial port switching, GPRS, Wi-Fi 802.11 b/g, 2.4 GHz wireless transmission module and Bluetooth. All of these products are designed to be lightweight and have a compact size which makes them easily portable. 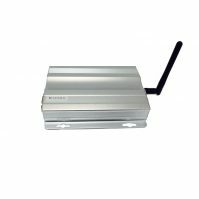 The 2.45 GHz active RFID readers make use of an omni-directional antenna to identify transponder tagged items up to 100 meters in all directions. Users can adjust the identification distance from less than 16.4 feet to 328 feet (5 meters to 100 meters) according to actual situations in order to make identification more accurate. These RFID readers have features such as high speed reading, continuous broadcasting, multiple communication interface and anti-collision feature, which makes them user friendly. The readers have the ability to detect up to 100 tags/second. Our 2.4 GHZ active RFID readers are designed in such a way that their menus provide easy navigation to the users. 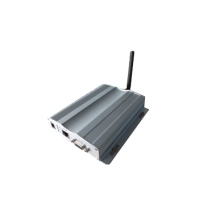 The 2.45GHz active RFID readers are used for personnel tracking, logistics, warehouse management, closed loop asset tracking, high value asset tracking. They are deployable in many environments and are commonly used for tracking tagged assets such as containers, machinery or other high value assets. These readers can also be utilized for monitoring personnel in health and safety or security application. They are also ideal for large and high value assets typically found in auto dealerships, manufacturing, mining, and construction. We offer a complete range of Active 2.45 GHz readers to suit any business application.